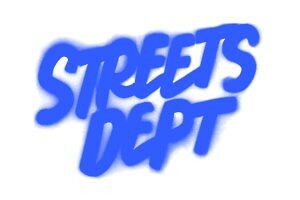 Perhaps you’ve noticed that one of Philly’s most popular brunch spots has been getting political lately. 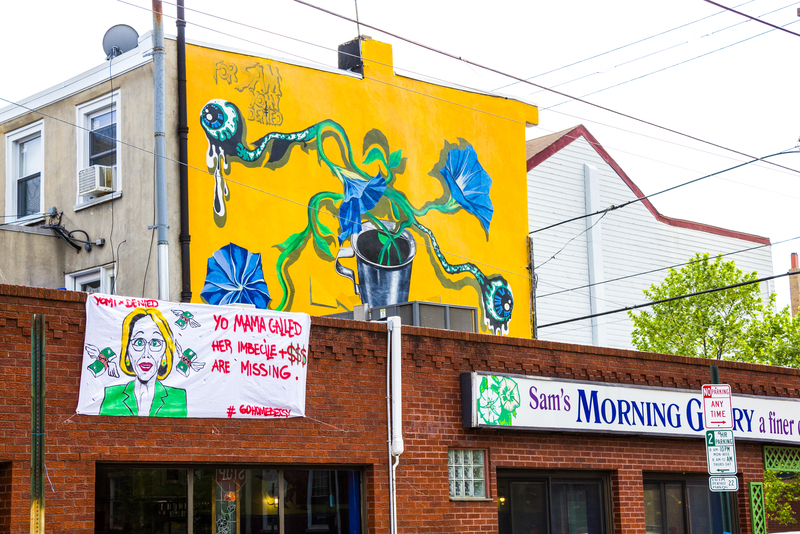 Over the last year, Sam’s Morning Glory Diner at 10th and Fitzwater streets in Bella Vista has been hanging signs in their windows and rotating banners from their roof that criticize President Trump’s policies and administration. 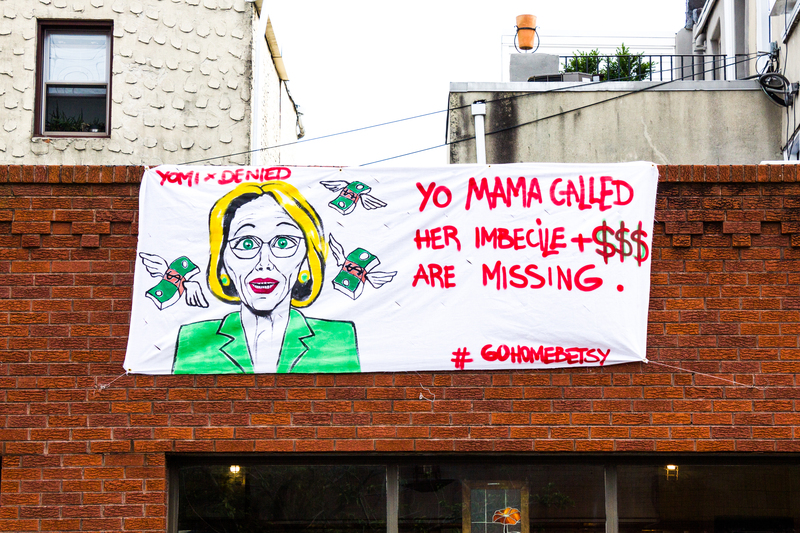 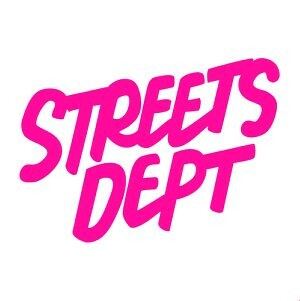 The banners are the collaborative effort of Philly-based street artists YOMI and DENIED, and their latest takes aim at Trump’s widely criticized Secretary of Education Betsy DeVos.